Join the success of the European health and fitness franchise with a low-cost business opportunity in your country with a “European Chic” well branded concept that is determined to be the world’s best provider of fitness for women with nutrition for real weight loss results. Our number 1 asset is our passionate team of fitness franchise inspired professionals with a long history in the fitness industry. We are regularly present in the fitness industry conventions such as IHRSA, and actively involved in the European Health and Fitness Association. 2002 – founded the first women only fitness franchise business with the express Circuit Training workout in Portugal. 2003 – introduced the fitness group studio with Pilates classes. 2005 – 2007 – the fitness franchise business grew exponentially opening 20 units per year during 3 years of rapid growth. 2008 – Won the IHRSA European Leadership Award. 2009 – Won the local Manz Fitness Career Award. Introduced Body Vive on an exclusive pilot express format authorized by Les Mills. Casey Conrad attends and presents at the annual Vivafit Franchising Convention. 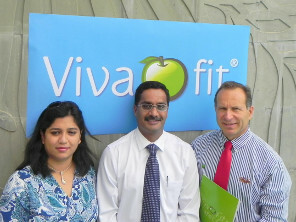 2010 – signature of Vivafit first Master Franchise agreement in India. Introduced Body Balance, a yoga, tai-chi, pilates program from Les Mills. Updated our store decoration for quicker and more cost effective store build-out and improved built-in branding. 2011 – Growth into Singapore and Uruguay with Master Franchise Agreements. Launched innovative online support tools with a turn-key system of nutrition software, exercise and coaching. 2013 – Introduced fitness Personal Training, opening of the 4th and 5th gym in India, opening of 4th gym in Singapore, signature of Abu-Dhabi and Oman. 2014 – Introducttion of Vivafit HIIT classes with Group Heart Monitors; updated elegant store environment. Signature of Master Franchise contracts for Saudi Arabia, Indonesia and Taiwan. Opening of 1st Vivafit in Jakarta, opening of 5th and 6th Vivafit in Singapore, opening of 1st Vivafit in Oman, opening of 6th and 7th Vivaits in India. Signature of MOU with Miss Portugal Foundation. 2015 – Dubai Center Opening. 2016 – Signature of a franchise contract with Saudi Arabia and Pakistan. Launch of the new and exclusive class, SBarre – Shape it. 2017 – Launch of the second exclusive Vivafit Class, Burn it Women. Vivafit began selecting international franchisees in 2010. Currently we have 9 Master Franchisees located in India (2), Singapore, Uruguay, Indonesia, Abu Dhabi, Oman, Saudi Arabia and Taiwan. Fitness Franchise is experiencing rapid growth internationally. It’s easy to see why as there is a current global obesity epidemic. According to the World Health Organization, obesity is one of today’s most blatantly visible – yet most neglected – public health problems. The global epidemic of overweight and obesity – “globesity” is taking over many parts of the world. 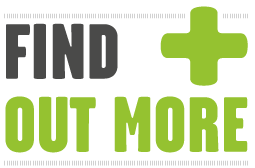 As of 2000, the number of obese adults has increased to over 300 million! It affects virtually all ages and socioeconomic groups and threatens to overwhelm both developed and developing countries. • Launch a successful pilot location in their home country. • Sell individual Vivafit units to franchisees. 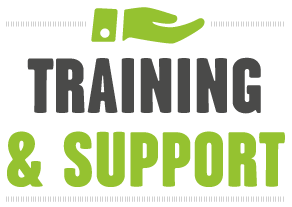 • Train and support unit franchisees. 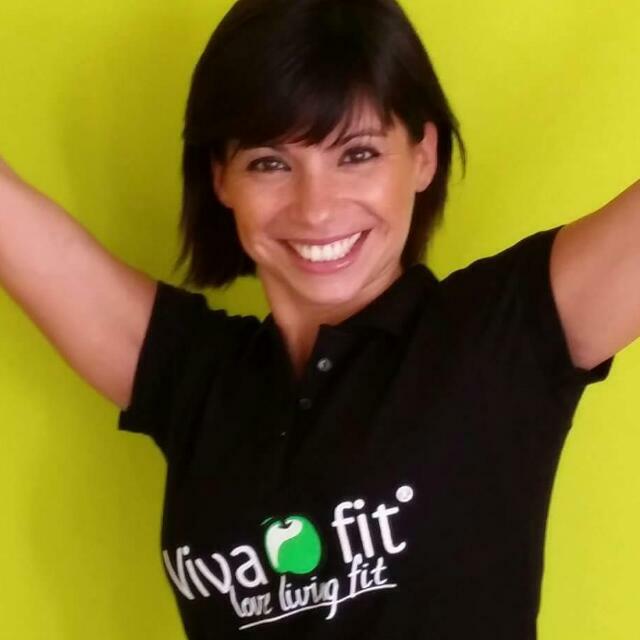 • Protect and promote the brand in the home country..
Vivafit low-cost business opportunities allow the franchisees helping women be slim, fit and healthy. Start a fitness franchise business today. Submit the enquiry form down below to learn more. "In nearly 30 years as a franchisee, franchisor and as the owner of my own business, rarely have I come across a Franchising business model where the founders have the passion, dedication and will to be the best. Vivafit is one of these franchising systems. Connie and Pedro Ruiz, who founded the company, have the passion that many other brands just wish for. They have systems, procedures and an underlying support basis that many older, bigger companies don’t have. 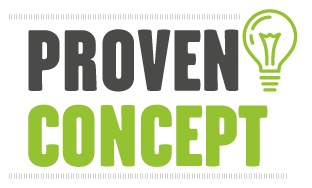 I highly recommend anyone looking for a concept where they can invest as a Master Franchisee to take a long, hard look at the Vivafit franchising model and talk to me personally if they have any doubts." Vivafit has regularly updated its fitness franchise business concept by adding group fitness by world leader Les Mills , as well as pilates classes, personalized nutritional support, behaviour change coaching support and online tools to keep members engaged for achieving their results quickly. With constant innovations, all Owners are supported by operational assistance as well as initial and on-going training for lasting success. • Store & location approval with step by step build out and store branding. • Initial training for all staff positions, at our headquarters, and on location. • Marketing and promotional tools to drive sales with monthly campaigns. • KPI performance coaching, with tools to measure financials, prospects, sales, usage, retention and marketing return. • Technical support of excellent software tools for club management and CRM franchisor software for unit sales as well as live time metrics of individual store performance. • Advanced training on timely fitness industry trends with regular innovations added to our processes and business systems. • Yearly international franchise conventions. Our experience was beyond expectation. The team, brand personality and the training was exemplary. Beetha & I return with enormous learning and energy and raving to go the Vivafit way. The foremost among positives was the people…. wow, what a team! Thanks to you all we arrived back with enough KASH to invest in this fantastic business opportunity. The training modules and flow was brilliant. We are stating this not in isolation but in comparison/contrast to similar such orientations we have attended as part of our careers with various MNCs. The Vivafit content was complete, practical & calls for fervent action. And the spirit with which it was delivered assures us of your unfaltering support & involvement – a quality that most franchisor-franchisee relationship is devoid of. It is easy to KISS, but we realized that this philosophy has been derived from tough experiences and innumerous trail & error. We fully appreciate the value of this know-how and are glad to ‘buy in’ not just in the form of royalty but also in terms of alignment to vision & compliance to guidelines. If at all we had prior doubts as to stand-alone or partner with a franchisor, it no longer exists. It is common for franchisors to tutor Operations, Marketing & MIS but Sales is mostly relegated to the franchisees. But your immense focus on sales is amazing & goes further to prove your responsibility towards ‘our business’. It is very reassuring. And thanks to you, Portugal, though new to us, felt like home and tasted like Pastéis de Belém! Please do convey our appreciation & gratitude to one & all in the Vivafit team. What were the main reasons you chose to invest in Vivafit fitness franchise? I was impressed by the level of commitment and support throughout the selection process. Vivafit gave me appropriate information on the fundamentals needed to compare with other business and franchises. Cooperation and monitoring is of a high standard which brings confidence to decision making. As a brand, Vivafit represents a great opportunity in a service segment that is clearly growing where there are no complications, for example, perishable goods, inventory management, logistics and freight management product lifecycle. There is a return on the investment relatively quick (1,5 years) and achieving an operational breakeven is less than one year. Do you believe in the success of Vivafit fitness franchise? Vivafit has accumulated experience over nearly 10 years. It is visible, that since its beginning, Vivafit has grown a sustainable business model, starting with a strong local expansion, and then engaging in international expansion. The fact that a significant number of franchisees own more than one franchise gives the notion of a credible and successful replicable model. For Latin America this is an exceptional time to invest, because our economies are growing, even in the middle of the crisis in Europe and America. The region continues to show strong performance and motivates investors to lead change towards more competitive environments. In Uruguay, and the region, the fitness industry is clearly growing, where penetration is still very low and is a source of opportuntiy for many. An important issue is the so-called "Cultural Fit" Vivafit with Latino women, which is reflected in the immediate acceptance of the concept without major changes. 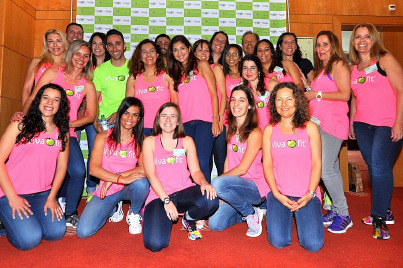 What kind of support and training does Vivafit franchise give? Do you think it’s enough? There is a clear commitment and institutional behavior to support the franchisees by the franchisor. Vivafit provides a great support; daily support to the marketing and sales activities, key areas for the successful development of the brand. Personally, I knew little of the fitness industry; it is comforting to know that I have an answer or suggestion for each new challenge, both sales and operational. I have assigned a permanent partner that is able to interact daily with our operation. Vivafit provides immediate support for issues of IS / IT, both corrections and update management software to adaptations to the local context, the assistance is as far as a mouse click. No less important is the support I receive as Master Franchisee for the expansion and development tasks of sub-franchises. Are you happy with the results? How soon did you reach operational break-even? Few highly profitable business operations achieve breakeven in such a short time, but Vivafit is one of them. In Uruguay, the first center Vivafit reached the "break-even" operational in nine months, being within my expectations for investment estimated. Also, the most important are the aspects that make the operations and service amazing, making Vivafit a unique proposition. Industry professionals are well skilled and there are many in Uruguay allowing for a level of comfort to manage human resource issues. Would you recommend this fitness franchise business? With exactly one year of operations, Vivafit have demonstrated the ability to reinvent the fitness segment, which lacks innovative and efficient ideas. Vivafit nicely compliments traditional gyms proposals, reaching out to a hidden demand with a fun, friendly and highly effective proposal. Vivafit is a business with evident social contribution, especially as regards the health of our women. If you are a leader, this is a great opportunity to invest in a proven franchise and forward-looking. The training was for 20 days involving a good balance of classroom and on-site training. The first week was spent in understanding the various functions separately like Marketing, Operations and CRM/POS systems. The next two weeks, we also spent time in observing everything in practice during the internships at different Vivafit locations. We also had the opportunity to interact with the Franchise owners and got first hand advice on what works well and what does not. Vivafit staff and franchise owners were very forthcoming in sharing their best practices as well as "secrets" of the trade, which was very nice. We also had fun while training and got to sight see around Lisbon and Cascais and had some of the best fish ever! 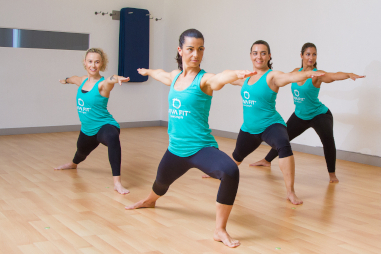 What kind of support and training does Vivafit franchise offer? Vivafit ensures a very complete initial training (before the center’s opening), offered not only to owners and managers but also to future commercials and instructors. Also, they provide frequent training sessions about operational procedures and other subjects fundamental to the success of the business; always focused on specific job functions at the center. The franchise support team is always available to answer our questions and, to address challenges that may arise daily, assign a mentor (a person responsible for our center) who keeps in daily contact through Vivafit’s patented intranet portal. Do you think the training is enough? I consider the training to be complete, although I think internships should be longer. I wish they were made with greater consistency and effectiveness. What do you think distinguishes Vivafit fitness franchise from other franchising companies with similar concepts? Why do you believe in the on-going success of the Vivafit fitness franchise concept? I strongly believe in the success of this brand and in the quick expansion of the franchising network. The product is well conceived and the results are already visible. I believe that the team behind this is very enterprising, energetic, creative and dynamic, which is certainly an advantage for Vivafit’s success. If all franchisees fulfill their part, if they make their center an example, the success is guaranteed and the brand’s image will always be the best. In order to find out information about free areas, please do not hesitate to contact our expansion department! Take advantage of the last remaining locations and do not miss the opportunity to open your own Vivafit!